Just out of Pennsylvania, in a Delaware suburb, is the town of Claymont. 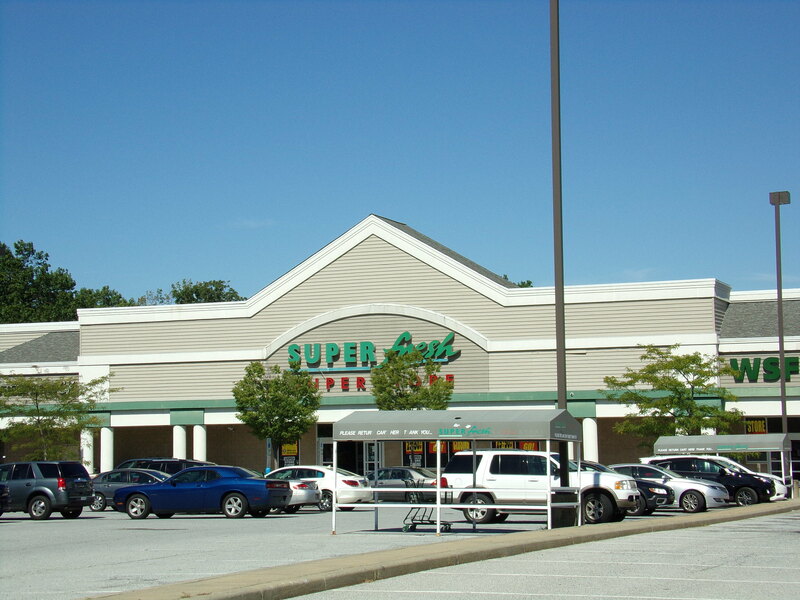 Claymont is home to many supermarkets-- Food Lion, Safeway, Acme, and most importantly-- Superfresh. 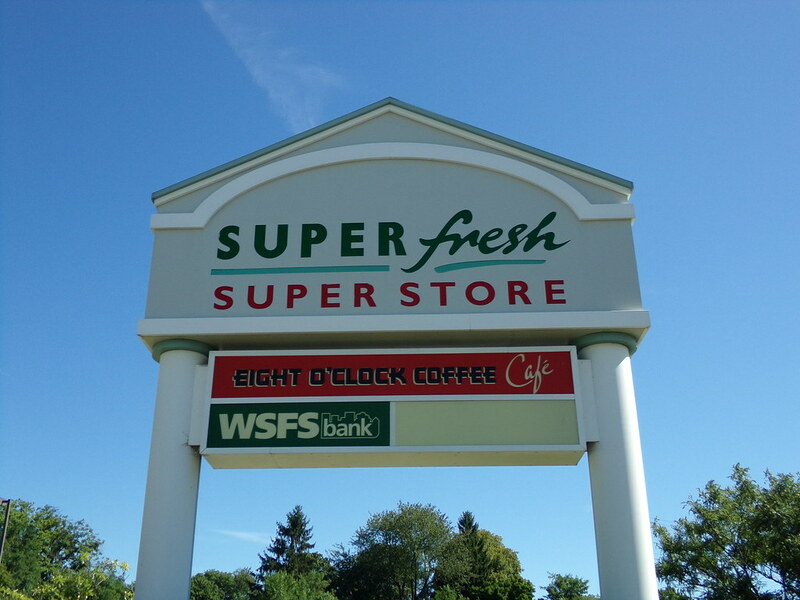 This Superfresh opened in the late-90's as a (what I would call) a "cheap build". 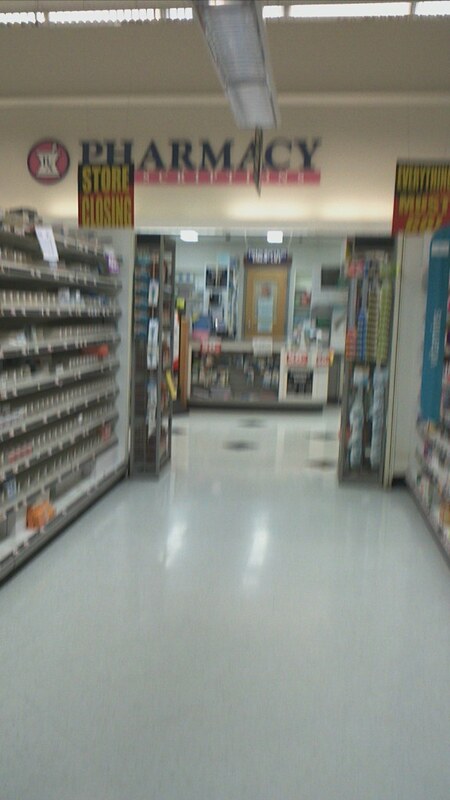 This store has a rather odd layout, and cheapened materials on both the outside and inside. Notice how this facade is very different than other 90's Centennials. The building is also very long and shallow, which is odd. It looks like it might've been expanded from a Centennial model, but this was a fresh build! A car dealership used to be on the site. Ah, Grafe! 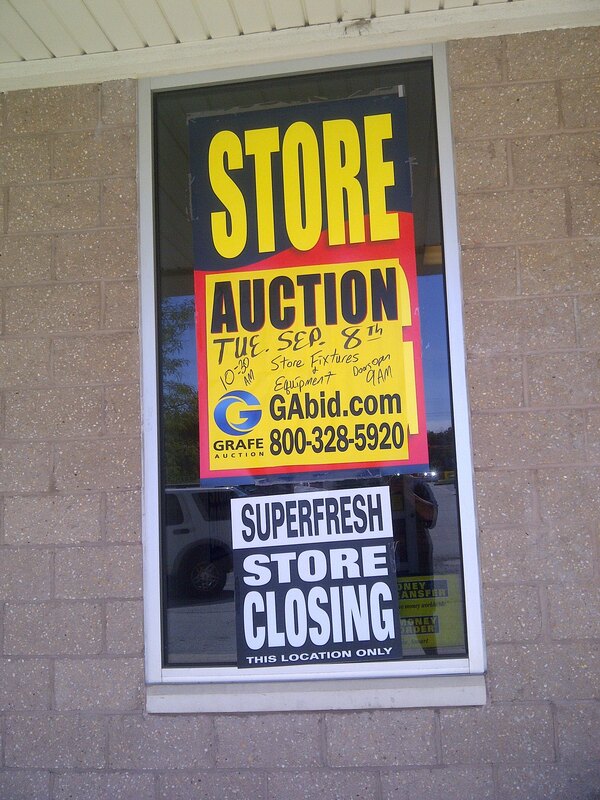 I've actually spoken to Judd Grafe and his associates over stores like this. Great people to work with, for sure. A nice weathered vestibule. 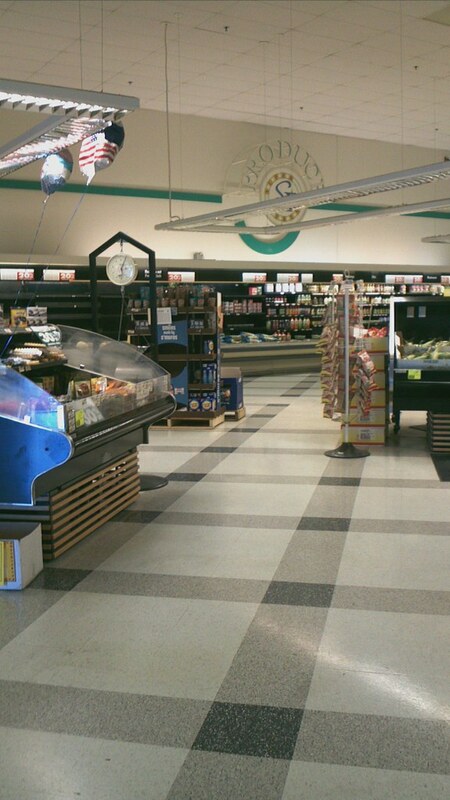 While I gave the Wilmington Pathmark (conveniently located nearby) the award for "worst store maintenance", I think that this one might top it. 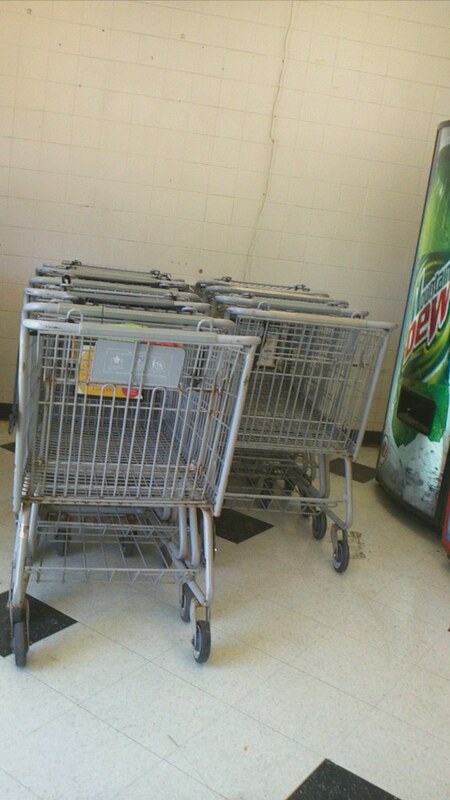 Cracks in the wall, rusty carts, outdated soda machines. Yep, this might take the cake. 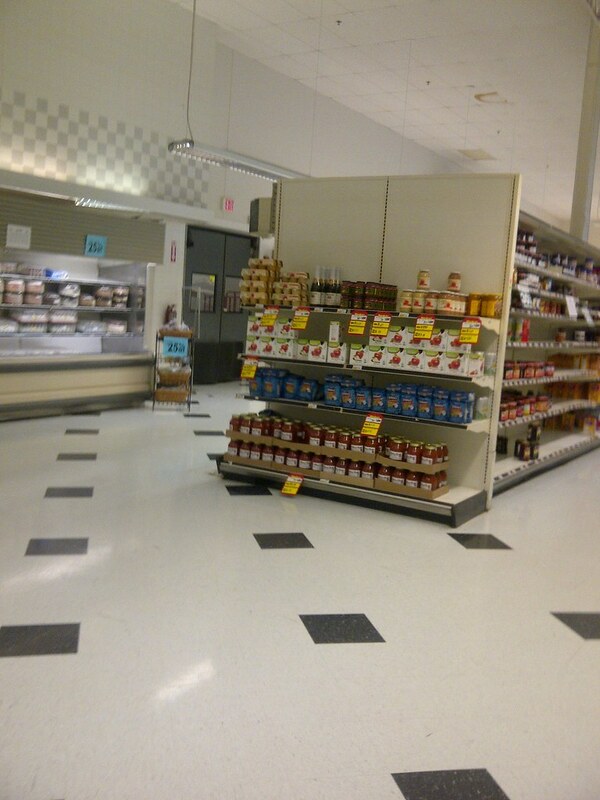 I think the lighting has died a bit in this store. Only half of the sign is lit! This has to be one of the weirdest endcaps I've ever seen. 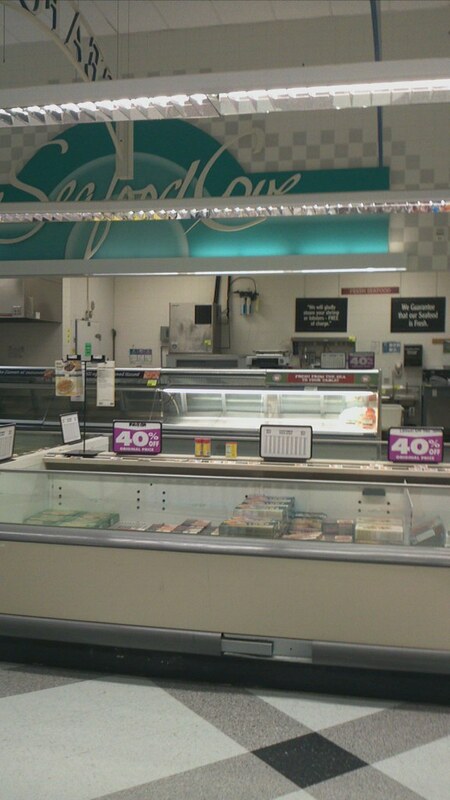 I assume larger items used to be on it, but now it just looks sad with no promotional signage, or added shelving. 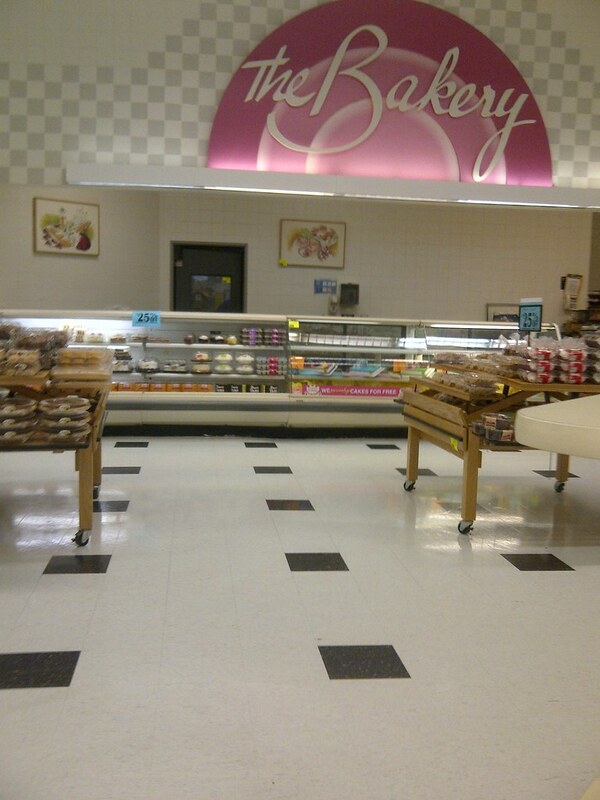 Because this store is so long, Superfresh can't call it "The Corner Bakery"! However, I really like their setup here. Free of clutter! Now THIS IS WHY you don't put in a drop-ceiling! This looks horrible. Why were drop-ceilings such a thing in the 90's? They're being quickly removed. 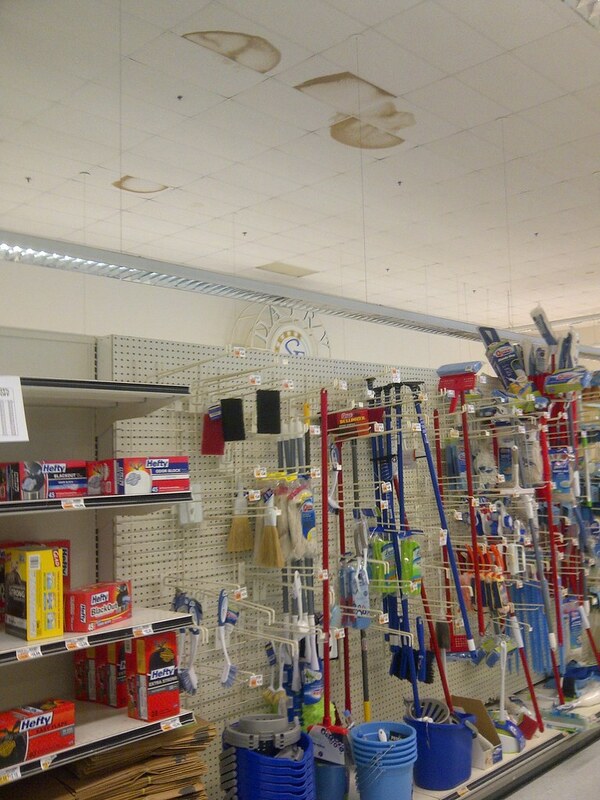 I guess no one ever thought the roof would leak? 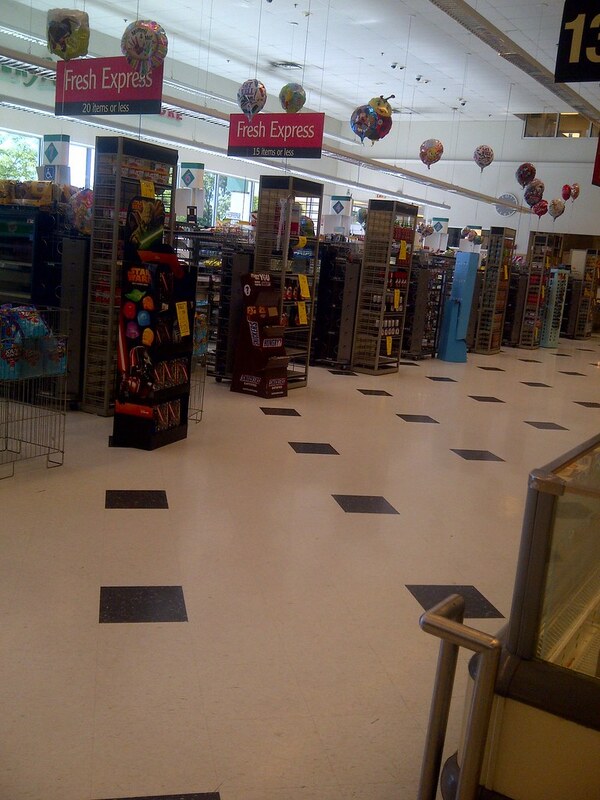 This store tops out at 17-er-18 aisles. 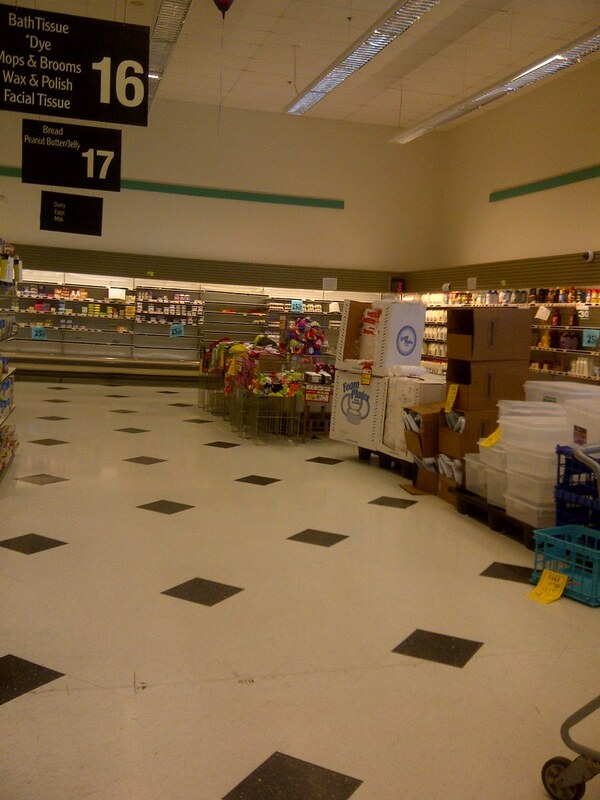 The number is missing from the last aisle marker. 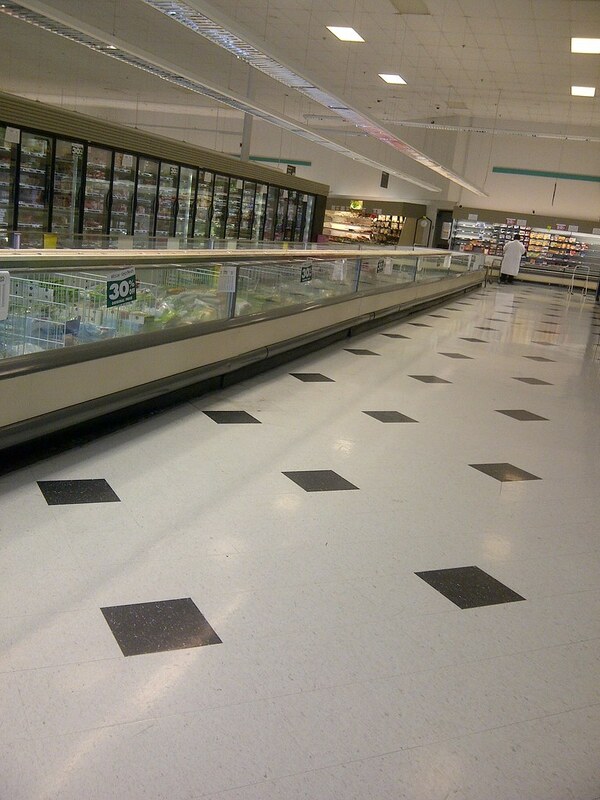 A spacious frozen foods aisle. Coffin cases were phased out in later models, which is sad to see. I personally find it more attractive to buy foods... you can compare all of the products at the same time. The upright cases block your view of certain products. Time to "Live Better" in the HABA! This location was recently transitioned into an ExtraSpace Storage Center. 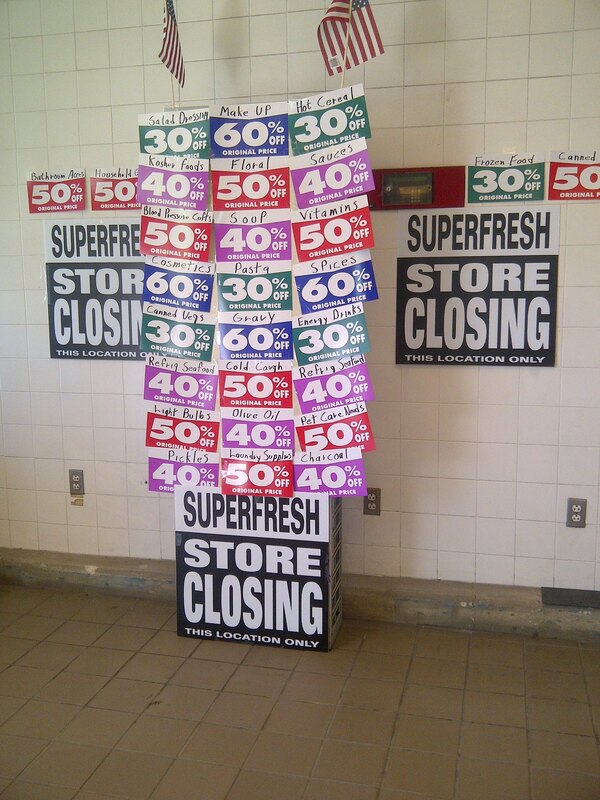 Nothing remains of the original Superfresh except for the columns on the pylon here.